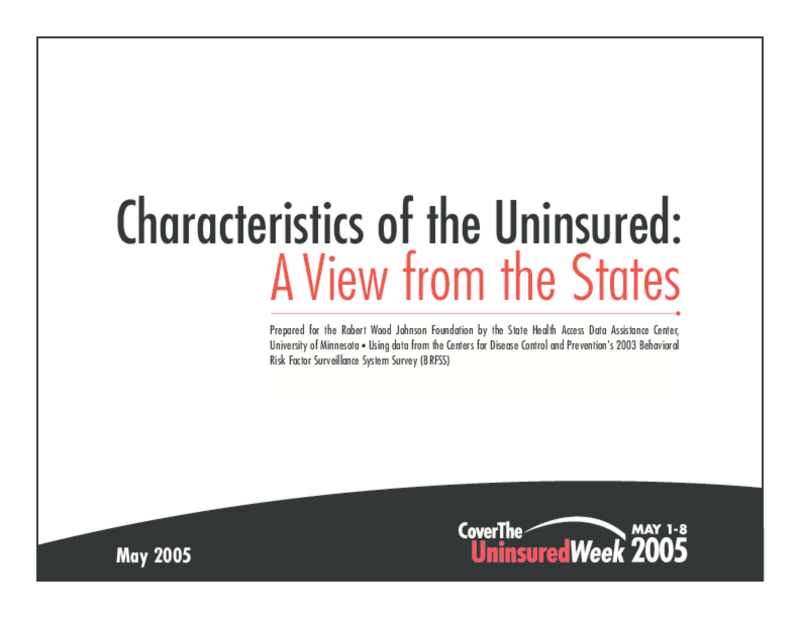 Uses data from the Centers for Disease Control and Prevention to construct a state-by-state analysis of Americans without healthcare coverage. Provides an in-depth look at the consequences that adults face when they lack health insurance. Copyright 2005 State Health Access Data Assistance Center.